Here’s a volume providing an overview of each book of the Bible with the special emphasis on how that book presents Jesus Christ to us. Quite a catchy emphasis, wouldn’t you agree? If you agree that the Person of Jesus Christ with His great mission of redemption is the key of the entire Bible as I do, then this is a worthwhile subject to pursue. Perhaps some books of the Bible reach for a more generalized subject matter and required some stretching on Mr. Williams part to give us the view through the Jesus lens, but the book has real value. 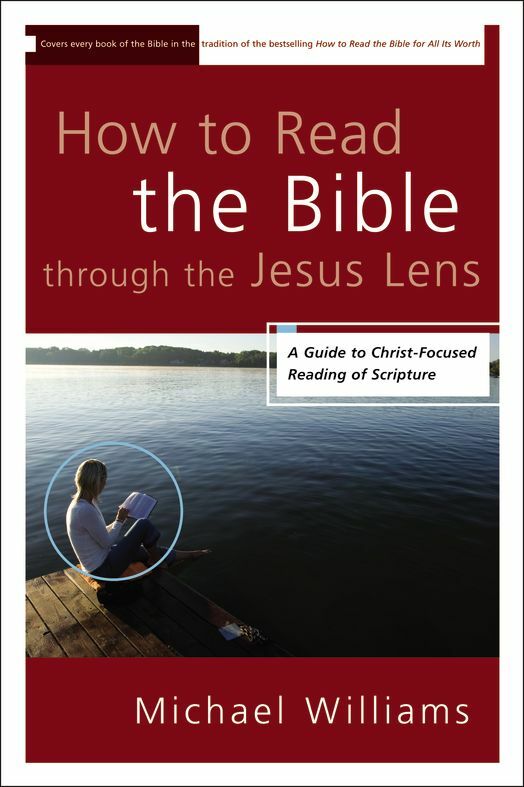 The publisher (Zondervan) asked that I focus on one segment of the Biblical corpus in this review, and I chose the Gospels since that has been a special point of emphasis in my studies for 4 or 5 years now. I thought his explanation of Mark and Luke were superior to those for Matthew and John. I might not personally agree with his ultimate opinion of each Gospel’s main theme, but his are worthy of consideration. Books of the Bible, and particularly the Gospels, have such depth that there will never be overwhelming consensus. What we readers need are those key and unique features of the book that will help us wrestle with our own conclusions about the book’s theme. Things like Matthew focusing on 5 key sermons, or Mark being geared toward Roman citizens, or Luke being fascinated with the problem of sin, or John highlighting the need to believe. These helpful discussions you will find in this book. This book covers each book of the bible in around 4 pages. In every case there is a discussion of the theme and some specific “Jesus Lens” comments. These are quite good and are followed by “contemporary implications” and “Hook Questions” that are not quite as valuable. How would you pick the main contemporary implications of an entire book? I fear that would only give us the chance to say anything and yet nothing. Still, this book is helpful. Don’t let the length fool you. It helps with perspective to look at some things from the big-picture viewpoint rather than just long, detailed, scholarly tomes. Currently, a trend exists in many places to say that the redemptive aspect of every passage is what must be preached or we are just engaging in “moralistic preaching.” This is, of course, overdone as such an approach might make us miss what the Lord is actually saying in a passage. I can agree, however, that I should never let Jesus Christ get too far from my thinking in expounding a passage of Scripture or in personally studying it. It is in this vein that this book succeeds. In my library there is a place for books that help me get the big picture of a Bible book that I am beginning to study, and this volume will take its place there as one that I will always consult. What better recommendation could I possibly give it? What do we mean when we say that Jesus was both fully divine and fully human? Most Christians have some clear ideas about Jesus being fully God, but His being a man is harder to conceive and explain. In fact, most Christians would rather not discuss the subject for fear of inadvertently attacking Christ’s deity. It is in this usually avoided area of doctrine that Patrick Henry Reardon writes. This book, published by Thomas Nelson Publishers, boldly tackles the subject. Reverent study of the humanity of Christ will in no way lessen our respect of the divinity of Christ, but rather better define it. Actually, our appreciation of what Jesus did for us will grow exponentially as we see that He suffered as we suffer, he felt pain and heartaches as we feel them, and He understands on every level all that we could ever go through. In this thought-provoking work, we are forced to confront Christ’s humanity head on. Questions that you either never thought of, or thought it best to never think of, are asked in a way that you much decide or close the book. 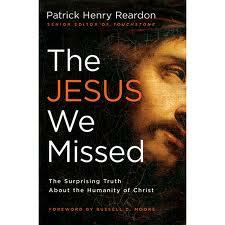 In the preface alone, the shocking question of did Jesus ever get sick and vomit is asked. Before you run away, ask yourself if that isn’t a worthy question. Does Jesus understand when I am in the middle of a bout of extreme nauseousness? At this point doctrine and daily living intersect. I couldn’t say that I agree with every conclusion of Mr. Reardon. When he speaks of Jesus and His mother Mary being at odds at the wedding where He turns water to wine, I feel he slightly stretches the extent of it. While I can appreciate the bewildering nature of Mary’s experience as Jesus grew up, I can’t help but believe that she did think of Him as we usually picture it in light of the angel’s graphic description of the Child she would carry. The extraordinary fact of the Virgin Birth could never be lost on her for a moment, even though her being a human mother had to come out at times. Mr. Reardon also attributes more to the human author’s personal knowledge (Matthew, Mark, Luke, and John) than I would feel comfortable doing as it would overlook the ultimate authorship of the Holy Spirit. But when Mr. Reardon talks about Jesus’ growing up always going to the synagogue, or His interaction with certain individuals, or His sufferings in Gethsemane or on the cross, he is spot on. I have been blessed by studying Christology and it looks like we have a tool here to help those who have never studied it to get going. Pastors can gain further insights on the Hypostatic Union while laymen can follow the discussion with minimal heavy theological terms. That makes this book, even with the few aforementioned caveats, a winner all the way around. Please enter a drawing for a free copy of “Healing Your Church Hurt” by Stephen Mansfield recently reviewed on the blog here: http://reaganreview.blogspot.com/2012/02/healing-your-church-hurt-book-review.html The publishers, Barna an imprint of Tyndale Publishers, have provided me a free certificate that I will mail to you which you can redeem for the free book.You can enter by simply responding with a comment to this blog post saying “Enter me” or letting me know privately by email. You will be given additional chances in the drawing by stating that you 1) Told someone who might like books or other pastors about this blog (Honor system –I don’t have to know who you told), 2) Like “The Reagan Review” on Facebook, or 3) become a follower of the blog if you have a google email account or just follow by email if you don’t. You can let me know about #2 or #3 even if you have already been following for a while. Please respond by 12 Noon, Thursday, March 1, 2012. I will notify the winner to get your mailing address at that time. Stephen Mansfield has given us a winner. It was with apprehension that I opened this book with the subtitle “What to do when you still love God but have been wounded by his people.” I thought, O no, a book to help people wallow in their hurts whether real or only perceived. The local church gets such bad press these days, perhaps I was preconditioned to think this way. Well, did I ever get a pleasant surprise. Never was church itself criticized. He painted, however, the realistic portrait that the Christian life is rarely lived without some church issues. This is not broad strokes really, but, I suppose, to be expected with all those imperfect people being involved who make up every church. He admitted that some church members are truly hurt at church. We pastors like to live in the cloud that says it doesn’t really happen, but it does. With equal force he revealed that pastors, too, often get hurt by folks at church. I’m sure that was a shocking revelation to many church members. Then, with the greatest candor he confessed that many of our supposed hurts are petty and unbecoming of what we make of them. He did all this in just a few pages and I was hooked. I was ready to hear what he had to say. 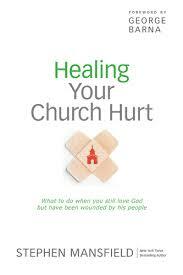 Then the balance of the book is simply this–You are hurt in church. Whether it was real or imagined is not the issue. An analysis of the fiends who treated you so is pointless. What are you, the hurt one, going to do? You can’t change it. You can’t rewrite history with you being treated more justly. You really can’t give your enemies their due, especially in line with your being a Christian. So, what are we going to do? He goes through that dark process that is so easy for any of us to go through that includes hard feelings, bitterness, and finally, even things far worse. How did Mr. Mansfield effectively show us this process? He surveyed the wreckage of his own church hurt. He was a successful pastor of a growing, thriving church and one day it all blew up in his face. When he first broached the subject, I wondered if he was going to use his position as a popular writer to get his revenge. I assure you that was not the case. He never called his enemies by name, and I felt he never told us more than was necessary about them to get the picture of what was going on in his heart. No, the one he exposed with all the gory details was himself. He went far out on the limb and started cutting. He told us what he did, how he really felt, and the thoughts that came gushing out of his mind. They were grotesque. They overshadowed what his enemies, who I imagine truly were guilty, did. Such is the cherishing of bitterness for a Christian. Our Lord has simply not designed us to be able to function fueled by hate. It’s like trying to put milk in your car’s gas tank. You won’t be going anywhere. He risked our disliking him. He opened himself up to the critical spirit of our age. You and I have probably been here, but we haven’t told anyone like he does in this book. I think his motive was to help us. He took us through the process of his coming out of this darkness. He gratefully acknowledged some strong friends who pushed and prodded him. He spoke of false steps and false starts and clear failures. He explained that his bitterness was a multi-layered thing where he had to dig deeper and deeper to unroot it. What he said reminded me of the oft discussed concept of “pit dwelling” that I think came from Southern Baptists and has been popularized by authors like Beth Moore. In any event, the discussion is thoroughly biblical and worthy of our consideration. In the end, he showed us that it was worth whatever it cost him to leave his unreal world of bitterness. And the answer was old–forgiveness. Real forgiveness. I give this book the highest possible recommendation with a prayer that it help many of us with a real, yet critical issue in our lives. This book is published by Barna, an imprint of Tyndale Publishers. The publishers have kindly given me a link to share with you for more information and the ability for you to download a sample chapter to see what you think: http://www.tyndale.com/Healing-Your-Church-Hurt/9781414365602 Be sure to check it out. Watch for a new blog post here within the next day where I will tell you how to enter a drawing for your own free copy of this book. 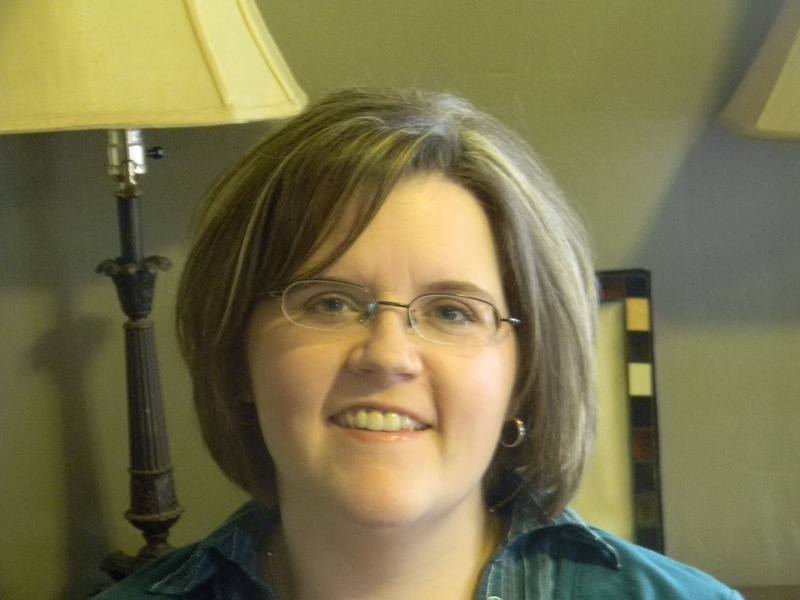 I’m excited to present a guest blog by my wife, Alicia Reagan. We came up with the idea to guest blog for each other recently. She is the one who encouraged me to start this blog. She even designed the template and taught me how to publish a post. She is rather experienced herself having her own popular blog. Her blog has a far larger readership than mine, and I am truthfully thankful for how the Lord is using her. The original idea for this article was a humorous one on the constantly expanding number of books in our home. What she has given me is not the humorous one we discussed, but one overly kind and generous in a few spots. So please read this with a few gallons of salt and a forbearing spirit as she is obviously blinded by love. Vice that it is, I can’t bring myself to find fault. When Jimmy and I started dating, he was a manager for Home Federal Bank. I met him in a Sunday School class and was attracted to his genuine love for the Lord.Having been raised in the ministry, I was stuck in the mindset that to love the Lord you must be called to preach. Well, Jimmy Reagan blew that theory. I will never forget on one day, he wanted to show me his house that he owned. We went to his house and on the “tour” he showed me his second bedroom which he had converted to an office. 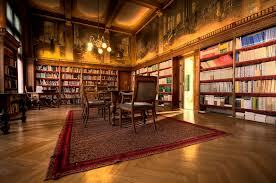 There was a desk, a couch and more books than I had ever seen in someone’s home! Wall to wall there were books everywhere! Books were stacked all over the floor, along the walls, on the desk, up on the file cabinet and when you opened the closet guess what? Yes -books! 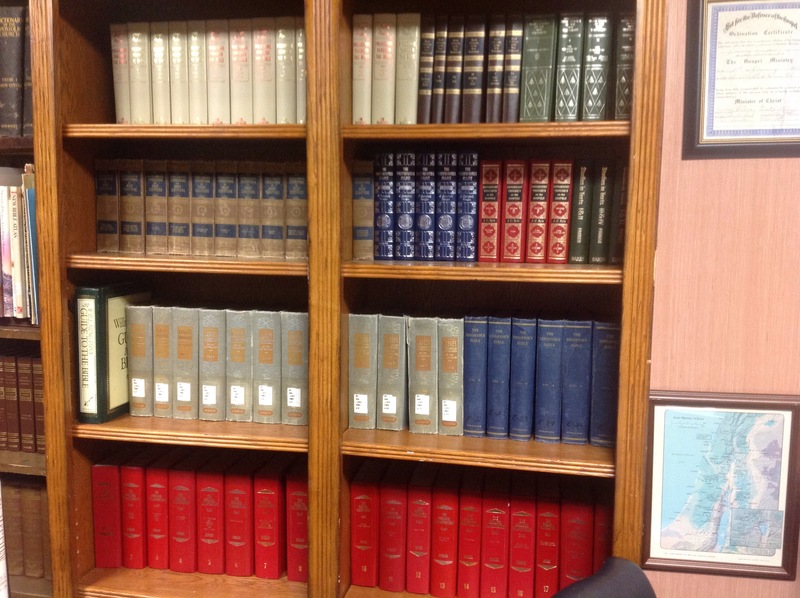 I looked at these books and most of them were about the Bible or about great Christian men. I will never forget that day because it was the day I confirmed in my heart that I had met a man who truly loved the Word of God and wanted to glean all he could from it. I used to say to him, “Why do you need all these books? 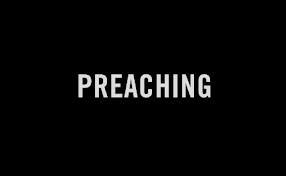 You have the Bible and that is all you need!” I heard a preacher say that and it sounded real spiritual. He then replied, “I would never assume to think I know everything. I am more than willing to learn from those who have walked before me.” It was then I realized that the preacher who had said that maybe wasn’t as spiritual as he might have been lazy. I married that man with the books and I love him for loving them. However, there are times I did not share his love for his books. When they started overrunning my home, I did not like them. When they were stored in boxes with no place to go, I felt they were useless. When I tried to have a conversation and he would answer me behind the pages of a book, I was ready to throw them in the trash! He has learned how to keep me happy with his books though and has built shelves, organized them nicely and put them away when I need his attention. So, his books and I are back on reading terms again. If you enter our home now, you will find some books in our bedroom in a specific place, a book shelf in the living room that mostly has my pretty books on it and then you enter his office. You will find wall to wall bookshelves that are double stacked and if you ask him about a book, he can immediately reach to shelf number six, second row and give you the fifth book from the left. I don’t know how he does that! He knows his books! If you dare approach our family room downstairs which is also the play room for our children, you will again find beautiful shelves filled with books that completely wrap our downstairs and they are carefully organized by topic. He is not a collector of books. He is a reader. He reads portions of 40-50 books to prepare for one sermon and he preaches 3 times a week! When you hear him preach, you can tell. I can’t even stand to listen to shallow preaching anymore. I know who has studied a portion of Scripture and learned everything they could about that portion, or who just picked a topic they want to preach about and dug around until they found a couple of verses to go with it. I am a sermon snob now and I will gladly admit it. It is not my fault though. It is because I married the man with books. Yesterday we had our first guest blogger. I have 2 more lined up for the weeks ahead. I have more blogs planned myself, but I love the privilege of having these guests. Within a few weeks I will also be having a drawing for a free book. I am glad to have as guest blogger my friend, Kyle Shearin. We first met when he and his wife brought a summer singing group from Crown College through our area. He is a sharp, dedicated young man. He teaches at Crown College and is actively involved at Temple Baptist Church. I remember once talking to him as he shared how burdened he was for the Singles Ministry he was leading at Temple Baptist Church. Ironically, it was in that same ministry I met my wife 13 years ago. I gave him the choice of blogging on any book of his choice. His reading has been heavily leaning toward the Apostle Paul of late. He read several on that subject and it turns out an old one was his favorite. Thanks Kyle. Here’s what he had to say…. Many are the books that arebeneficial on the life of the Apostle Paul but few are the books that areconsidered “Classics” on the life of Paul. Stalker’s book is not the mostthorough you will find on the topic but it is among the most respected. Somebooks on Paul leave you thinking that he was not only the “Apostle Paul” butalso the “Savior Paul”. The author walks you through the soaring ministry ofPaul as well as the stumbling ministry of Paul. Stalker’schapter on the missionary journeys of Paul is second to none. The chronology ofevents brought to life will have you walking the streets with Paul and seeingGod made strong through weakness. James Stalker was born in Scotland in1848. He graduated from Edinburgh University and New College and served formany years as a pastor in the Free Church in Scotland. His most renowned bookis the “Life of Christ”.